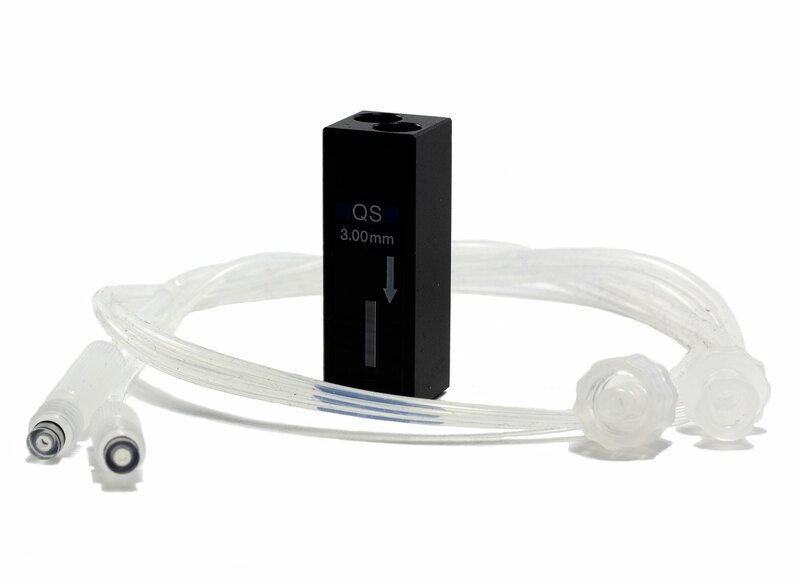 Quartz flow cell for size and intensity measurements. Compatible with MPT-2 autotitrator and the Zetasizer Nano S, ZS, S90 and ZS90. Complete with connecting tubing for autotitrator.